Wisdom of Life. 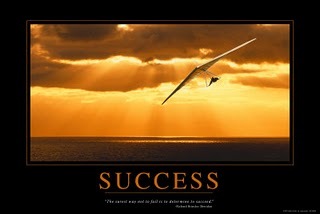 : What is success to you? Thirty years ago I asked John who was double my age then this question... "What is success to you?" He said success is to be able to earn as much as possible and allowing my wife to spend as much as she likes and yet I don't feel the pain. So sad! I still have the pain when she spends. When that was told to me, I could not understand the real meaning out of it. I only laughed! Recently one of my daughter in law, Debbie asked this question again. "Dad! What is success to you?" Immediately I related these words... Success to me is to earn as much as I can and allowing all my women and sons to spend as much as they like and yet I don't feel the pain. So sad! I still have pain in my heart today. She was surprised with that reply..."Why dad? Why should you have the pain?" See! She was just like me thirty years ago, as young as ever, thinking they know everything in life but actually they know very little. I gave her a simple reply, "My dear! Dad isn't successful yet". If you happened to be reading this posting, ask yourself whether you do know the meaning too. If you are, i believe you have grown to be wise and know some aspects of what is life then. Congratulation to you! U must have came a long way to see yourself of what you are today. Albert Schweitzer said, "Success is not the key to happiness. Happiness is the key to success. If you love what you are doing, you will be successful".